And if we were going to the Netherlands side, in a house with an ethnic and Scandinavian inside, a nice mix that makes the beautiful parts to natural materials, to white, to wood. 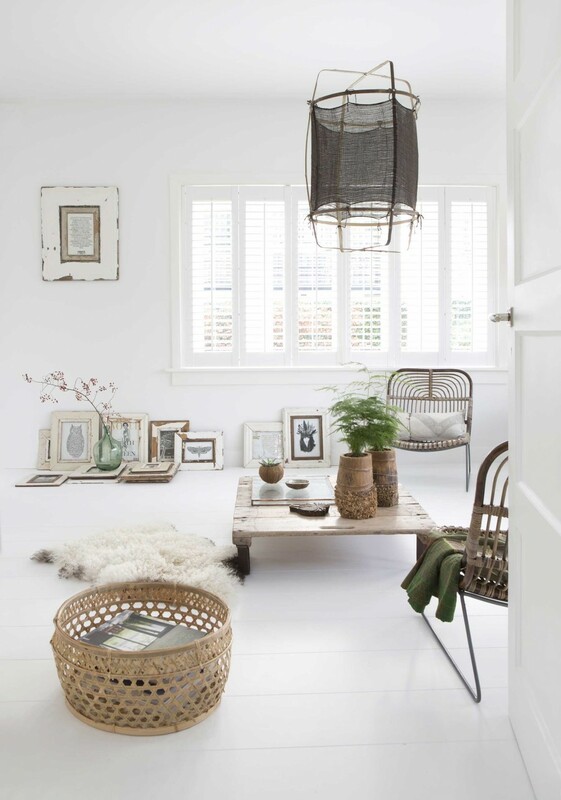 We find the basics of Nordic decor with vintage touch home of elisabeth borger with ethnic elements and raw materials. I very much love this mix of style, very successful. I discovered this report in a Home Magazine, and I really liked the style of the house. The bamboo or sea grass baskets, rattan chairs, zinc plates, the suspensions, the old frames, everything is beautiful! The couple bought this house of the 30’s and completely repainted it to white, it beautifully captures the light. I let you discover this interior by yourself and inspire you. Good Sunday!